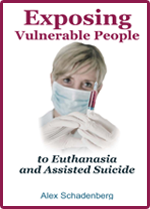 Euthanasia Prevention Coalition: The Groningen protocol for euthanasia of disabled babies in the Netherlands. 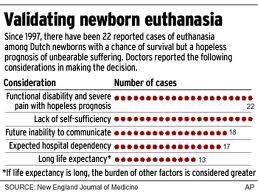 The Groningen protocol for euthanasia of disabled babies in the Netherlands. This article was written by Dr Peter Saunders, the campaign director for the Care Not Killing Alliance in the UK and published on his blog. In an interview this morning on BBC Five Live (at 0705) on the Paul Lamb case I was asked by the presenter Nicky Campbell about evidence for a slippery slope following the legalisation of euthanasia in other jurisdictions. 5. Summary of recent developments in Netherlands documenting a 15-20% increase in euthanasia cases per year since 2006 (gives good overview of overall situation).